At Green Family Materials we've been reclaiming the past for more than seventy years. We help to preserve history and protect the environment by promoting the use of reclaimed materials. Through careful deconstruction of our own historic mills and warehouses, we provide turn of the century, “green” reclaimed wood and brick for custom residential and commercial projects. 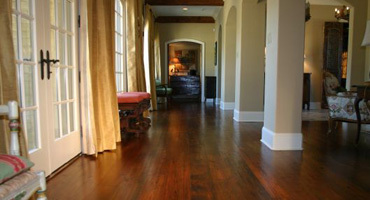 We offer an extensive selection of flooring and beams in reclaimed heart pine, oak, maple, and barn wood. Let us help you build the home or project of your dreams.